I binge-watched all 383 minutes of The House of Mystery in two days, but I can imagine doing it in one if I didn’t need to eat dinner or talk to my wife – it’s that compelling and, I need to emphasize, entertaining. The set’s 11-page accompanying booklet carries a title, “The Art Film As Serial.” Written by Lenny Borger with David Robinson, the essay makes only the briefest case for classing this serial so far above others, citing its “boasting [of] such pictorial invention, the natural ease of [its] mixed Franco-Russian cast and the exemplary juxtaposition of serial thrills and genuine emotion,” but that just about covers it anyway. Indeed, as directed by Alexandre Volkoff, it rarely acts likes what we’d normally expect from an American serial of that era, or even the earlier (and sophisticated) French serial thrillers like Les Vampires (1915). Like Edmond Dantès of the Count of Monte Cristo, the hero of House of Mystery, Julien Villandrit (Ivan Mosjoukine), finds himself trapped in an evil scheme perpetrated by a competitor for his girlfriend’s affections. Given a prison term of severe longevity for a crime he did not commit, Julien must connive to escape, setting the story up for The Return. The serial’s tale, however, is not so much one of revenge like Dumas’. Villandrit wants justice for sure, but more than that he simply wants to rejoin his loving family, from which he’s severed for the best part of the two decades spread out over the six-plus hours of the 10 episodes. Julien’s betrayer is his good friend and manager of the Villandrit textile factory, Henri Corradin (Charles Vanel), who is driven to despicable deeds by his frustrated lust for Villandrit’s girlfriend, then wife, Régine de Bettigny (Hélène Darly). Villandrit’s eventual triumph is preordained, of course, but the distinctive strength of this serial is its ability to reach past the form’s well-established and formulaic design of at least one desperate clutch per episode – although House of Mystery provides a good many of these, too – to instill a longer arc of anxious anticipation. 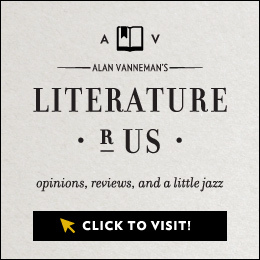 Partly this is due to its source, the 1921 novel by Jules Mary. Whatever the novel’s intrinsic merits or lack of them, it provided the filmmakers with a sturdy narrative. From the start, its steadily flowing plot sets House of Mystery apart from a run-of-the-mill serial, in which a constantly halting storyline ratchets up excitement toward the end of each episode, only to jump-start the same dynamic with the next installment. This way, the plot of a vintage serial functions mainly to insure that the audience is always eager to see the next installment – that eagerness being the need to discover how the hero and/or heroine have managed to extricate themselves from this or that contrived danger. In House of Mystery, our need to know what’s gonna happen next arises differently than from the same need in a serial – that is, it comes from our investment in the emotional lives of the characters. The well-paced first episode carefully establishes characters that have clearly defined and, most importantly, authentic reasons to care deeply for (or hate) each other, these being the “genuine emotion(s)” mentioned by the booklet. It’s a matter of fundamental cinematic empathy: we worry about these people, even if we do expect a final banishing of their woes. Often, because the film’s length allows it, we fret over their day-to-day well-being in the midst of long-term threats and personal loss. In spite of its being a broadly melodramatic concoction, their plight – so intimately drawn – sets off flashes of recognition in us that override the mass of implausibilities that a story like this is heir to. The strength of the performances also guarantees that the characters are never merely tools of cheap episodic suspense. Actor and co-author of the adaptation Ivan Mosjoukine virtually owns The House of Mystery. 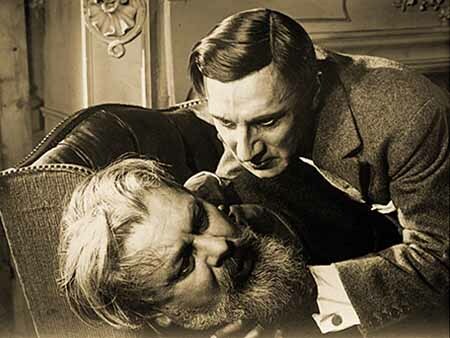 This will come as no surprise to anyone who has experienced Flicker Alley’s 2013 set, French Masterworks: Russian Émigrés in Paris, 1925-1928, in which this actor dominates three of its five films (in one of them he is also the scenarist and director). Mosjoukine is undeservedly obscure, a fate that Flicker Alley may help to reverse. 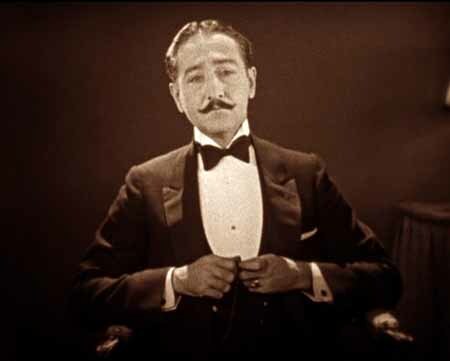 After a five-year career in Russia,3 he emigrated to Paris in 1919, where he vaulted into a stardom that lasted until the introduction of sound, after which his career floundered (his speaking voice being burdened with a thick Russian accent). He died of tuberculosis in 1939. Mosjoukine’s imposing good looks, featuring a long narrow visage with a mesmerizing gaze, may have been unconventional in a Western context – you wonder if he might share the same gene pool as Vladimir Putin – but because of an astonishing acting range, he could manage anything from suave romantic lead to exotic villain to bumbling half-wit. In House of Mystery, he begins and is somehow believable as a youthful, bounding Julien Villandrit, who must swing from tree limbs to express the overflowing joy of winning the hand of his upper-class darling, Régine de Bettigny. During the prison sequences he attains a sort of tragic grandeur before morphing into an action hero when, at a moment’s notice while on a prison work detail, he inspires his fellow inmates to an escape via a hijacked freight train.4 Briefly as a fugitive, he becomes a circus clown (don’t ask me why or how) and ends up playing at his home town like Professor Roth in The Blue Angel (1930). It seems that Mosjoukine must have loved his makeup kit almost as much as Lon Chaney – the clown get-up approaches the outré as much as those in any of Chaney’s circus pictures. When with much stealth the escaped Julien returns home, he comes so convincingly disguised as a hobo looking for work that he’s able to fool his wife for a time. Like the rest of the Franco-Russian cast, Hélène Darly as the besieged heroine is remarkable in her own way. During filming, the actress was in fact young enough, in her early twenties, to fully inhabit the vivacious, girlish Régine we see in the first episode, but then is just as convincing as she ages over the story’s two-decade timeline, caught in the web of deceit spun by Henri Corradin, played by the formidable Charles Vanal. 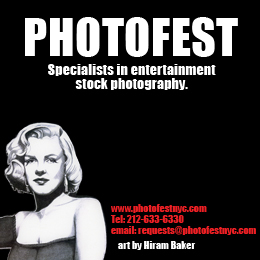 Reconstructed in its serial form in 1994 by Renée Lichtig – a feature-length condensed version also survives – House of Mystery retains the high-end, photo-secessionist quality of its photography. The bucolic landscapes of the early episodes glisten with sunlit detail. Throughout, the production makes extraordinary use of outdoor locations, which often appear to be southern France; at one point, the fugitive Julien seems to be limping along the Mediterranean coast. Inventive, even experimental camera movement abounds. A sequential, title-less tableau depicting the Villandrits’ fairy-tale wedding is done up entirely in the mode of the paper-cut, silhouette drawings popular in the 18th and 19th centuries. Neil Brand on piano delivers a well-judged mood-enhancing score that knows when to background itself and when to step up front and deliver its big tune, a brooding cantilena that never outstays its welcome. France/1921-1923/383 minutes/B&W with tinted sequences/silent with musical score. Released on DVD by Flicker Alley in 2015. Flicker Alley astonishes again with their June release of Dziga Vertov: The Man with the Movie Camera and Other Restored Works, a collection of four of Vertov’s innovative Soviet films made during the Stalin era. It’s a brave release, though, because in spite of this disc’s generous and lovingly restored presentation of what the avant-garde filmmaker achieved, it’s difficult to see these films being watched much outside of a classroom of comparative media studies, the screening room of a film scholar, or the living room of an intense film buff. No binging here: I had some difficulty with these films, and this was mostly because the unleavened goal of much of them is dreary Soviet agitprop, which tends to drown the imagery in tedious, false-fronted optimism. Knowing what we do now of Stalin’s reign, the relentless, cheerful selling of the Five Year Plan of 1928-1932 in the film Enthusiasm: Symphony of the Donbass (1931) has to be balanced with the horrific reality of that period, in which Stalin began his wide-ranging purges, not to mention his acceleration of agricultural collectivism that resulted in so much death. But because of Vertov’s skill in manipulating his imagery, viewing the film is a split-level experience. While we admire the skill with which Vertov has gathered such historically valuable footage, we deplore the ends to which it’s being used. The film’s opening sequences cleverly cross-cut Orthodox Christians entering churches with homeless drunks boozing it up in a public square, illustrating that, if not the opiate of the masses, religion is the alcoholism of the people. In short order we see the results of Stalin’s directive to halt this drain on the workers’ enthusiasm. Churches are closed and turned into Soviet youth clubs, while countless icons – many of them beautiful works of art – are carted off to be destroyed. These sequences form a kind of prelude to the film proper, and it works beautifully; there’s even a kind of wit displayed in the cross-cutting, but the emptying of the churches leaves us with a sour taste, especially as we view the ideological banalities that take up residence in them once their interiors are stripped of icons and their spires adorned with a red star. Yet, after we cleanse our palate of retroactive disdain, we realize that Vertov has captured, with a vigorous documentarian lens, an important moment in Soviet mind control. Enthusiasm is a very early Soviet sound film, and Vertov aims to make his soundtrack an integral part of its agitprop delivery system. The opening credits mention two composers, among them Shostakovich, from whose Symphony no. 3, The First of May (first performed in 1930) the titles promise selections. 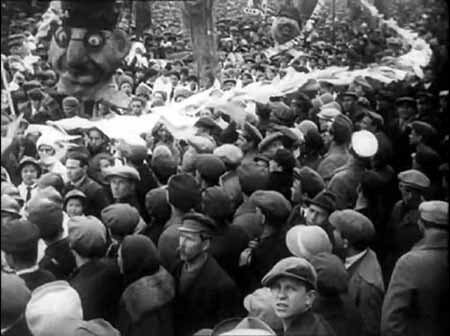 If these occur somewhere in the film, I failed to spot them, but the marches by the other, less celebrated Soviet composer, Nikolaï Timoféiev, are much in evidence whenever Vertov wants to underscore the “enthusiasm” of the workers in achieving the goals of the Five Year Plan. The marches begin in the opening sequences as the diegetic sounds of a street band, emerging symbolically triumphant from its collision with the chanting and bell ringing of a Russian Orthodox church service. Thereafter, as we’re immersed in imagery of industrial bustle, Vertov stitches in lengths of electronic and ambient sounds, the latter giving the film the feel of a straightforward documentary until the soundtrack’s brass band enters again. Somewhere toward the film’s end, after “best workers” (also tagged “enthusiastics” [sic]) have been elected, an intertitle declares that the work they do is “about honor … it’s about glory,” while the tasks photographed seem more about sheer drudgery and physical abasement. The martial music appears to want to aurally enhance the honor and the glory of the Five Year Plan, but in this viewer anyway, it merely induces headaches while it layers the images with bathos. According to the accompanying booklet, theater audiences of the time, being “aurally tortured,” had the same problem, demanding that the sound be turned off – but this may have had more to do with the primitive state of Soviet sound technologies, which necessarily is faithfully reproduced on the Blu-ray disc. 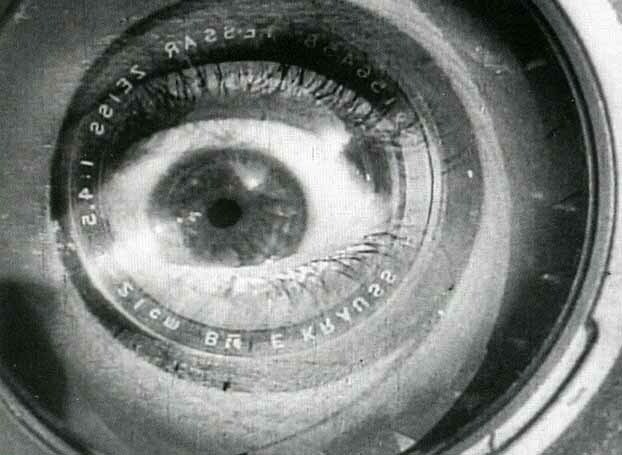 In the case of the collection’s most well-known film, The Man with the Movie Camera (1929), it’s not the selling of queasy Soviet ideology that disturbs, but rather the optical impacts of Vertov’s cinematic experiments, which can prove exhausting, rather than exciting, to the receiving mind. 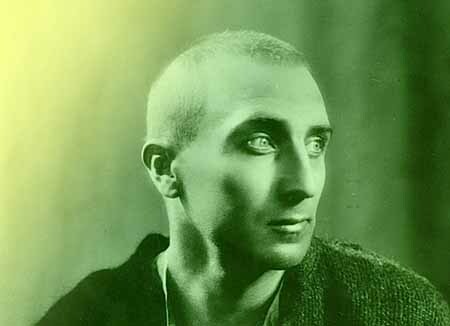 It’s revealing to read in Flicker Alley’s accompanying booklet that Vertov had been fascinated with Futurism, a progressive aesthetic movement begun in Italy early in the 20th century that involved nearly all the arts – for example, painting, music, literature, and film. The look and feel of Man with the Movie Camera (hereafter MWTMC) is certainly in line with the movement’s theoretical praise of machine and speed, but it also appears to aspire to be in synch with the visual goals of Futurist painting. It’s not easy to grasp the formal concerns of visual Futurism. As practiced in Italian Futurist paintings, the picture plain is broken into vertiginous flights of cubistic shards or, in an attempt to express bodies or objects in motion, repetitive echoes of form. MWTMC’s adaptation of Futurism’s cubism and/or expression of eye mechanics seems to reside in the use of now venerable in-camera optical tricks – such as superimpositions, double exposures, mirrored imaging, and angled compositions – but even more so in relentless fast cutting. For the duration of the film, shots rarely last more than five seconds; often they are brief enough to be nearly subliminal. In other words, the film is an extreme use of montage, it being a specialty of early Soviet film or even, some would say, its origin. But this is montage not as Eisenstein theorized and practiced it. 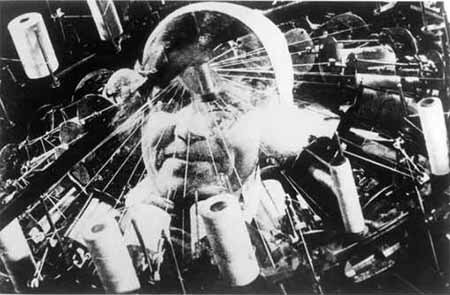 Unlike his compatriot’s use of the editing technique, Vertov’s application does not propel or distill narrative elements. Instead, via super-rapid montage, Vertov wants his film to be some kind of abstract equivalent to how we actually see – as how our attention might flit from this sight to this to that while our lids blink every few seconds. He ends MWTMC with a close-up of a camera lens as an eye. It’s Vertov’s concept of kinoprávda – cinema truth, which, translated into French and then practiced decades hence with much less purity and varying degrees of polemic, becomes cinema vérité. As honed in MWTMC, Vertov’s kinoprávda is more like cinema concrete. Strangely, in this, Vertov’s most rarefied pursuit of his aesthetic/messaging ideal, MWTMC is the least propagandistic of the films in this collection. Unlike the other films, there are no intertitles to declare or explain content. Yet there is a broad Soviet message being sold here, too. In essence, the film is a paean to the Soviet city – we read that more than one metropolis was photographed – and within that city, Vertov means to extoll the positive energies of its proletariat, which includes the indefatigable energy – and work ethic – of the man with the movie camera. MWTMC’s kaleidoscopic vision finds invaluable support in the Alloy Orchestra’s percussive score, which allegedly follows “the musical instructions of Dziga Vertov.” Flicker Alley’s booklet doesn’t yield exactly what these instructions might involve, but, regardless, the score is a beauty. The other silent films in the collection – Kino Pravda #21 (actually a newsreel, 1925) and Kino Eye (1924) – have deft and often witty accompaniments arranged and played by Robert Israel on piano joined by an unidentified violinist. Expect to hear “The Internationale” more than once, but also don’t be surprised to hear Israel’s brief but inexplicable insertion of George M. Cohan’s “I’m a Yankee Doodle Dandy” into the midst of his score for Kino Pravda. All films, Soviet Union. Kino Pravda #21 (1925/23 min./B&W/silent, with musical accompaniment). Kino-eye (1924/78 min./B&W/silent, with musical accompaniment). 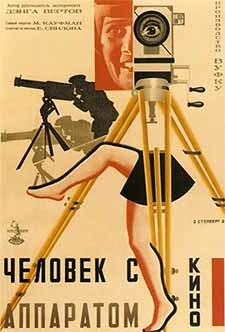 The Man with the Movie Camera (1929/68 min./B&W/silent, with musical accompaniment). Enthusiasm: Symphony of the Donbass (1931/66 min./B&W/sound). Three Songs About Lenin (1934/59 min./B&W/sound). Released on Blu-ray disc by Flicker Alley in 2015. Earlier this year, Flicker Alley rolled out their Manufactured on Demand (MOD) program that features out-of-print silent features from the Blackhawk Collection, produced by David Shepard. This is a smart, timely idea, and I sure hope it succeeds. As of this writing, the catalog of films available stands at 25, and it’s a compelling bunch, with films by Griffith, DeMille, Lubitsch, and Walsh, among others. The variety inherent in this collection – and the variety that existed within silent film – is demonstrated by the two titles I’ve watched: Cecil B. DeMille’s Joan the Woman (1916) and Ernst Lubitsch’s The Marriage Circle (1924). When photography began on Joan the Woman in June 1916, DeMille was no beginning filmmaker. 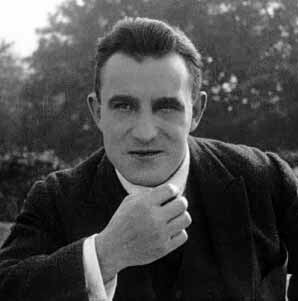 Although only having begun his directing career in 1914, he’d racked up more than two dozen films before ambitiously tackling Joan, which was to be the first large-scale historical film for a director who would be known for them. There are reasons that the only satisfying movie made about Joan of Arc is Carl Dreyer’s utterly remarkable and emotionally draining Passion of Joan of Arc (1928). By focusing on Joan’s trial, Dreyer avoids the central dilemma of the figure’s wildly improbable story: that is, how did this adolescent farm girl (she was 16 when she had her first interview at Chinon and 19 when executed) convince the dauphin Charles and his court that she must lead French forces against the English in a holy war? Was she, as early as a 13 year-old, given divine directives via visions of St. Michael (and others), or was she a delusional, borderline psychotic? I’ll take the latter, but then you have the unlikely scenario of a mentally ill young girl donning the armor and everything, then proving herself an able tactician with some big successes on the battlefield, notably the seizure of the town of Orleans. If you go with the voices, you’re on a different, faith-based ground, in which Joan’s story is second only to the Greatest Ever Told, but all the stranger because it was so well documented. Whatever the reality of the divine messaging, Joan’s unimaginable saga actually happened. The only aspect that makes Joan’s story easier to film than Christ’s is its opportunity for battle scenes. This is where DeMille proves his career-spanning mettle at directing large masses of people, especially in Joan’s big showdown in Orleans, which has at least the excitement quotient of Griffith’s siege of Babylon in Intolerance, filmed later the same year as Joan the Woman, if not quite the massiveness of the former’s spectacle. 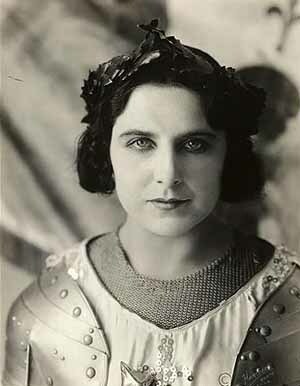 In her fourth starring role for DeMille, American soprano Geraldine Farrar played Joan. Thirty-three or 34 at the time of filming, Farrar, a prima donna at the Metropolitan Opera, was an immensely popular public figure, known as much (or more) for her good looks and dramatic presence on stage as for her singing. For an opera singer – if we eliminate faux operatic singers like Mario Lanza, Nelson Eddy, Jeanette MacDonald – Farrar had an unusually successful run as a movie star, even after DeMille was done with her. But, to a current audience at least, she’s a tough sell as Joan. 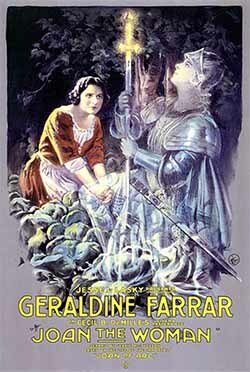 With his title, DeMille has promoted Joan of Arc from girl to woman. Fair enough (has any adaptation featured Joan as a true adolescent? ), but Farrar, who is certainly attractive enough, comes across as more the matronly Walküre than the young visionary warrior. As to her acting chops, she relies mostly on the kind of grand gesture that might have played well from the Metropolitan’s stage but gets us here no closer to an intimate Joan than a gift shop statuette. Jennie MacPherson’s scenario appears to lean a bit on Friedrich Schiller’s 1801 play The Maid of Orleans, as did Verdi and Tchaikovsky in their libretti, especially when conjuring an enemy knight for Joan to fall in love with, threatening her virginity and therefore her mission.6 You would think that at this sexual juncture, DeMille of all people would seize the opportunity to justify his title. “I’m a woman, not a saint!” an intertitle might proclaim (as in the director’s Cleopatra (1934), in which the surprisingly hot Cleopatra of Claudette Colbert yields to Marc Antony’s resurrected manhood with: “I’m no longer a queen, I’m a woman!”). But no: when English soldier Eric Trent (Wallace Reid) makes a tentative gesture of earthly affection toward Joan – who seems merely perplexed by his advances – an angel visible only to the virgin insinuates himself, and the scene goes dead. Instead of a Joan truly struggling with human desire, DeMille makes her fully Joan the Christ via a memorable image of her lit within the cut-out shape of a fleur-de-lis. The Christ analogy implicit with the maid’s agony comes with Joan’s canonized territory, but here the actress pantomimes Jesus on a cross that’s gratefully invisible, and Farrar, arms outstretched, goes as far as to sag her torso, with head lolling, as if she’s been nailed to it anyway. From this tableau, the film takes us to a trench in present-day, war-torn France in which a wall of the earthworks reveals Joan’s actual buried sword to a group of puzzled English soldiers. Along with the relic comes a visitation from Joan herself, who persuades an awe-stricken foot soldier that he must “expatiate your sin against me,” by accepting a suicide mission against a German machine gun bunker. So, now we have the English, 500+ years after her execution by them at Rouen, implicated as “Joan-killers,” another explicit attempt at a Christ simulacrum, but an uncomfortable one. There’s nothing Christlike in Joan’s ghoulish demand; after all, having the English take the place of the Jews in Joan’s Passion is an odd retooling of the “blood curse,” the spurious, anti-Semitic interpretation of a passage in the Gospel of Matthew that in any case doesn’t derive from anything Jesus says. This is an intriguing bit of business – the film being made in 1916 before the US entered the war. In his silent films of the teens and twenties, DeMille liked to be topical, when he could, about the sins and indecorousness of modern life, but it’s hard to see what this famously religious man was getting at here as he shot Joan the Woman while the US retained an isolationist stance against the crisis in Europe. If Joan the Woman is not among DeMille’s best films, the preservation of his first leap into epic-sized religiosity is important and so is its availability on Flicker Alley’s MOD DVD. I’ve always been curious about Farrar as a film actress and wonder if her first production with DeMille, Carmen (1915), hadn’t showcased her talents better. A photo still in the new (and wondrously illustrated) monograph, Cecil B. DeMille: the Art of the Hollywood Epic, by Cecilia DeMille Presley and Mark A. Vieira, features Farrar as Carmen, supposedly after the cat fight outside the cigarette factory. Scratched, sweaty, and in disarray, the singer looks sensuously in charge of the role, which she of course sang on the Met’s stage. Hopefully, this is a title destined for Flicker Alley’s MOD program. For a film of 1916, Joan the Woman, which is said to be DeMille’s director’s cut, is in good condition, with Joan’s hand-colored execution intact. Christian Elliott’s excellent performance on organ of the film’s original score, by William Furst, enhances DeMille’s storytelling – already the director’s strong suit – and quickens the film’s sometimes hesitant pulse. Watching the farcical enter/exit movements of its characters makes it easy to spot the theatrical origins of The Marriage Circle, which was based on a play (Nur ein Traum), but Lubitsch’s filmmaking is fluid enough to overcome any play-bound strictures as it constructs a piquant comedy of errors from the collision of two married couples. A sign of the director’s increasing mastery is his having the camera linger longer in close-ups, allowing his actors’ faces time to modulate various emotions. Lubitsch liked his film so much that he remade it as a talkie in 1932 under the title of One Hour with You, with a cast including Maurice Chevalier and Jeanette MacDonald. The plot introduces one marriage as unhappy and frayed and the other as just beginning and rosy. The union of Professor Stock (Adolphe Menjou) and his wife Mizzi (Marie Prevost) is clearly on the rocks; in fact, the Professor is engineering his own grounds for a divorce by hiring a detective to trail and entrap the manhunting Mizzi, who has set her carnal sights on the new husband of her friend Charlotte (Florence Vidor). Since Dr. Braun (Monte Blue, looking like a young Bill Nighy) only has eyes for his wife, Mizzi’s attempts to seduce him – involving feigned illness – end in failure, until mixups and misunderstanding ensue, followed by comeuppance and restored love as the final cadence. In the middle of all this, Menjou – that master of droll reserve – almost strolls off with the picture. Although Flicker Alley claims the print featured comes from the original negative, resolution and detail don’t appear to support this, but the film is in fine shape and more than watchable. The dependable Mont Alto Motion Picture Orchestra, led by Rodney Sauer, is on hand to deliver another delightful yet discreet underscore. Joan the Woman/USA/1916/137 min./B&W with tinting/silent with musical accompaniment. First released in 2015 on DVD-R as part of the made-on-demand program at Flicker Alley. 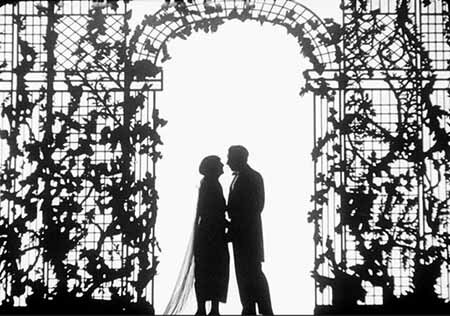 The Marriage Circle/USA/1924/85 min./B&W with tinting/silent with musical accompaniment. First offered in 2015 on DVD-R as part of the made-on-demand program at Flicker Alley.